Rise Bespoke Foods Ltd is a catering company that specialises in incredible canapes for food lovers. The business needed to increase their brand awareness, both online and offline. The Capture Factory helped Rise Bespoke Foods improve the look of their brand with an updated logo design, and we also provided them with website design that gives their potential customers a deeper sense of what the catering company can offer. We also supplied Rise Bespoke Foods with professional photography. The quality photographs of great food can be freely used by them to populate the website, post on social media or even used in print work. Rise Bespoke Foods required a logo that showed the company as an exclusive, high-end catering firm. The business wanted the logo to reflect the quality of the canapes they produce. Rise produce excellent canapes, and their logo needed to indicate this level of food. Our designer decided to base the logo on a mythological creature to give the brand some gravitas. The logo needed to appear as important and prominent. When you see the finalised logo, you know it is a good quality brand. The logo incorporates both an image of a winged-lion and the name of the brand. The emblem helps clients recognise the brand and ensures they remember the name. 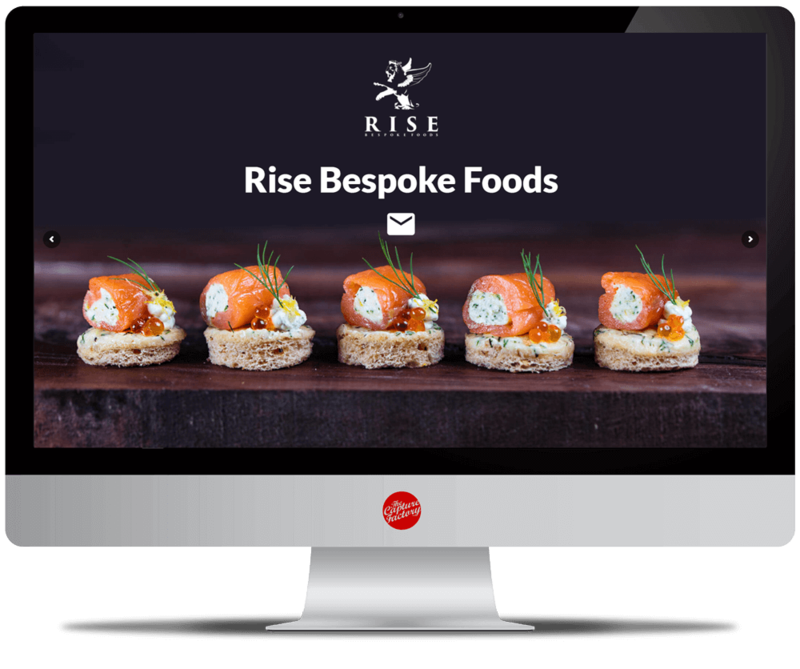 Rise Bespoke Foods didn’t want their website to be overpopulated with unnecessary information about their company. Their aim was to get potential customers to get in touch using a simple contact form. The Capture Factory suggested creating a one page website. 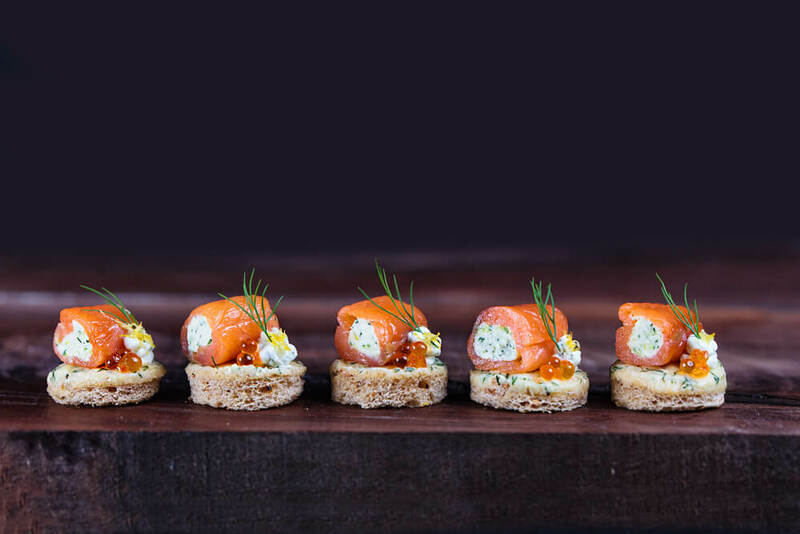 The website design includes multiple images of the canapes that Rise produce on a full screen slider. The high-quality, oversized images effectively show off the superior food and immediately grab the user’s attention. If users are impressed with the logo and images, they can instantly get in touch.